It really really hurt. Having had a bit of a later start to my winter training than usual this race was to be my first top end effort of 2014. And it felt like it. 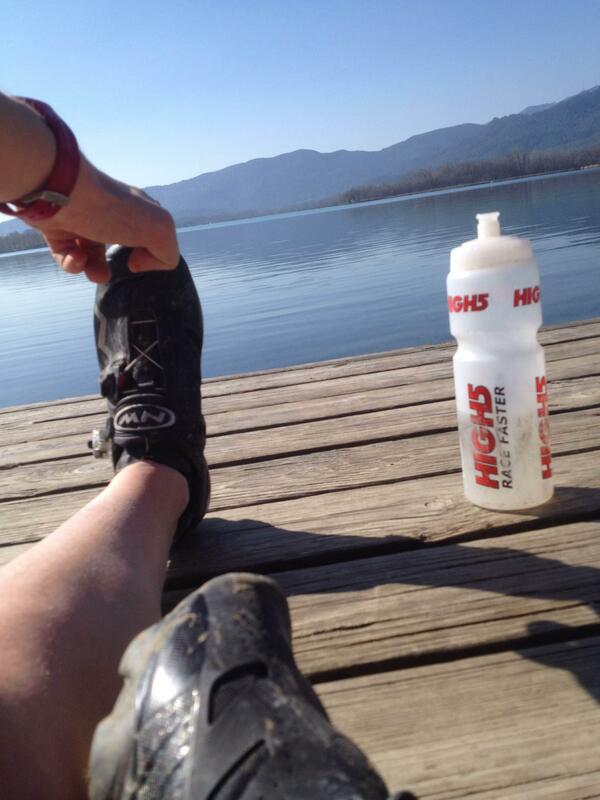 The course weaved through dusty red trails between olive groves high on a hill above the blue lake of Banyoles. In the distance the white peaks of the Pyranees provided the perfect backdrop for the first round of the Copa de Cataluna. 66 women were set off sandwiched between 200 guys so the entire race was spent battling to keep position. I didn’t quite have the fight in me so found myself losing place after place to male riders who would force braking and increase the distance between the leading female riders and me. Having held a solid 3rd place for a the first lap I found that by the second I had slipped back to 6th which is where I would stay for the remainder of the race. Such a physical course through rutted field and up short power climbs. I now feel as though I have been run over by a bus and made to inhale a desert. Am I selling mountain bike racing to anyone? In the men’s race, Kenta Gallagher held onto a ferocious start effort to finish in the 20’s. Dave Henderson followed a few mins down then Ian Paton (wee legend in his first elite level race) just after. Gareth Montgomerie got held up in a crash at the start and never regained his time penalty but finished strong for a solid top 40 finish. In all a good first Category 1 race for the Scottish Team. Now we get cared for at Mas Pelegri by Girona Cycling for the following week to build on our fitness as strength in preparation for the season ahead.